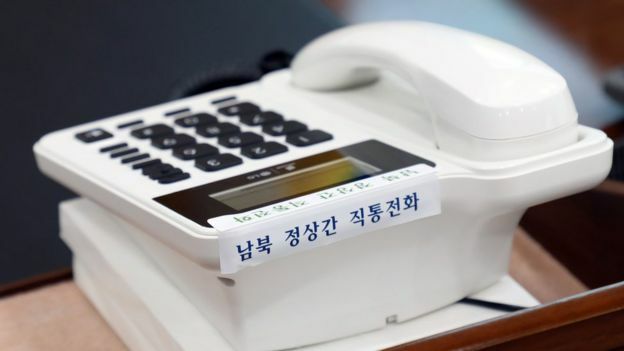 North and South Korea have set up a telephone hotline between their two leaders - the first time such a direct line of communication has been set up. Kim Jong-un and Moon Jae-in are due to meet later this month for the first inter-Korean summit in over a decade. Officials from both sides conducted a successful test call. "It was as if we were talking to a neighbour right next door," a South Korean official told local media after the call lasting 4 minutes 17 seconds. The hotline was established between the South's presidential Blue House and the North's state affairs commission, which is headed by Mr Kim. 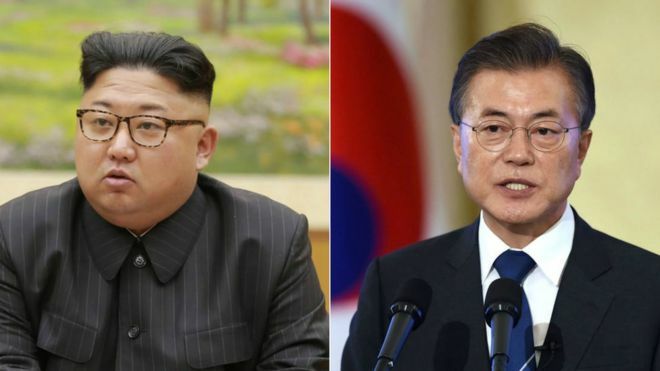 Blue House officials had earlier said Mr Moon and Mr Kim were likely to hold a telephone conversation before their face-to-face meeting. The agreement to set up the phone link came last month when Mr Moon's top security adviser travelled to Pyongyang for an unprecedented meeting with Mr Kim, who had then agreed to hold the inter-Korean summit. This will be the third inter-Korean summit between both countries, after summits previously held in 2000 and 2007. The two states remain technically at war since the 1950-53 Korean War ended in an armistice, with neither side able to claim an outright victory. Mr Kim is also expected to hold a summit with US President Donald Trump by June. If it takes place, it will be the first meeting between a sitting US president and a North Korean leader.